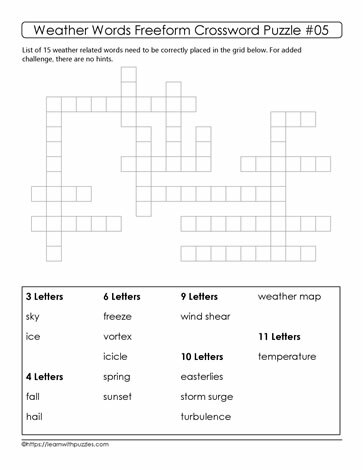 Here is a list of 15 weather words that need to be placed in a blank crossword puzzle. Place each word in the correct location in the blank spaces to complete the puzzle. Puzzles engage the brain, support brain health and help to make learning fun.